Josh Coulson battles with James Wilson. 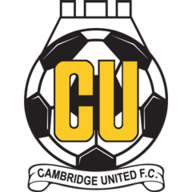 Cambridge United – the lowest ranked team left in the FA Cup - held Premier League Manchester United to a 0-0 draw at the Abbey Stadium. 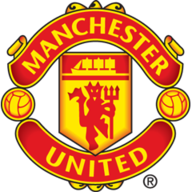 The Sky Bet League Two side had to survive a late second-half onslaught from Louis van Gaal’s men as Radamel Falcao and substitute Robin van Persie went close but the hosts were good value for a share of the spoils after a hugely determined display. Manchester United have been forced into an FA Cup replay with League Two Cambridge United. It could have been even better for Cambridge, who are ranked 76 places lower than their illustrious opponents and the 11-time winners, had Josh Coulson diverted a header into the net rather than over the bar from just two yards - the best of several good opportunities created by Richard Money's team in the first half. Despite tales of twitchiness Van Gaal opted to go with four at the back and as a result suffered an evening full of anxiety in the goalless draw. At times it was difficult to tell which side had won the competition a record 11 times as the Us, who twice won at Wembley last season, refused to be cowed by the Premier League side. Money's men had Van Gaal squirming on the concrete seat in the visiting dugout, particularly when packing the six-yard box at corners. Coulson will go to sleep wondering how he did not create FA Cup history on 30 minutes as he managed to head over the crossbar from two yards after Michael Nelson had caused panic in the United area from a corner. Ryan Donaldson of Cambridge United celebrates with team-mate Tom Champion. Cambridge were deservedly level at half-time and indebted to goalkeeper Chris Dunn for staying so entering the final 30 minutes when he saved from Falcao. It took United until the 64th minute to score at Yeovil in the third round and, despite occupying Cambridge territory for the majority of the second half, they could not find an opening. Dunn saved from substitute Van Persie and Angel di Maria in stoppage time as the hosts celebrated a memorable result.